A physical check is now requested. This part of the test process is basically to remind you of a number of physical problems to check for. You should check the phone screen and body and enter the phone’s condition. 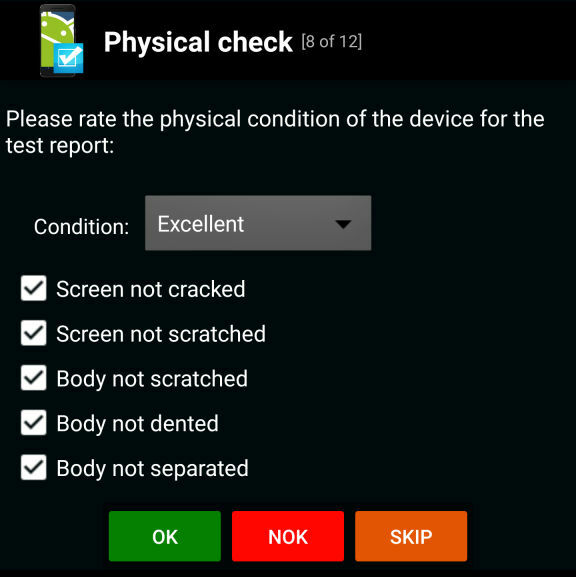 The physical check description will be included in the test report (e.g. to use for selling the device, or an archive of the state of a repaired device). If the phone looks OK then select OK, otherwise select “NOK”.